As part of my summer 2018 exhibit "The Art of Conservation" I pledged and donated a portion of my proceeds from the show to Raincoast Conservation Foundation. I was able to raise 2,362 Dollars including my on contribution which helped Raincoast meet their target! Please consider donating to this amazing organization to help them continue to safeguard coastal carnivores. Safeguard Coastal Carnivores from Raincoast Conservation on Vimeo. 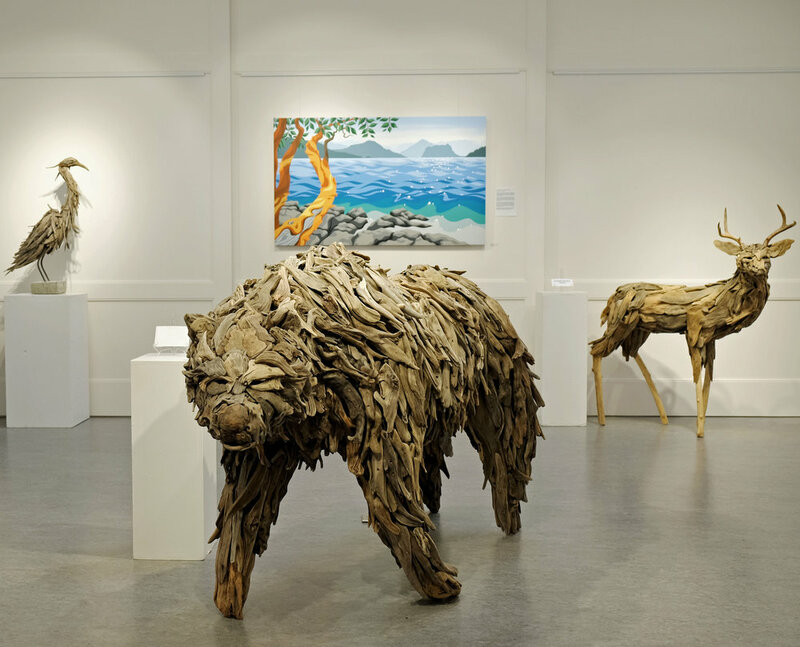 Inside "The art of conservation", THe gallery @ Cove Commons, Bowen Island, B.C. "Vanish", a grizzly bear. The name of this sculpture refers to both the brevity of a close encounter I had with the bear that inspired this piece and the need to protect such a remarkable animal from loss. "Lament", a coastal wolf. I built this piece with the memory of a wolf I saw and heard howling. The haunting beauty of its call felt like that of someone longing for their lost family.